Happy New Year! As an organization, we have a lot to celebrate about from 2015. Great workshops, recitals, meetings, and a fantastic POE! And we don’t want to forget all of our new high school members! But I’m also excited to share a great slate of events for the first half of 2016! Sunday, March 6, 1:00 PM: Student Organ Study Scholarship Auditions. Applications due March 1. Be sure to join us for our Epiphany Party, THIS Sunday at 5:30 PM. If you haven’t RSVP’d, email Pat – pedalpt@aol.com. I hope to see you at many events in 2016. And like I always say, invite a friend to join you! 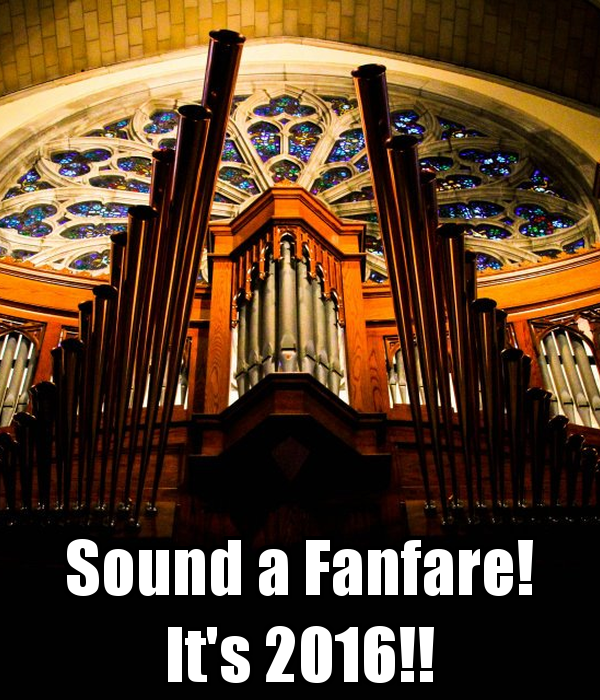 Let the power of music and the pipe organ shine in 2016.